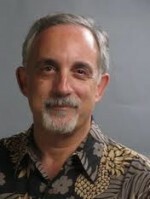 Mitch Kapor is a pioneer of modern computing. He is the founder and former CEO of Lotus Development Corporation and the designer of Lotus 1-2-3, the “killer application” which made the personal computer ubiquitous in the business world in the 1980s. Currently he also serves on several non-profit boards, including the Mitchell Kapor Foundation and the Level Playing Field Institute. Through Kapor Capital, he is an active investor in seed stage startup companies.